Man Utd are under pressure to beat Fulham on Saturday, and it’s fair to say that Jose Mourinho’s XI hasn’t gone down particularly well with many fans. 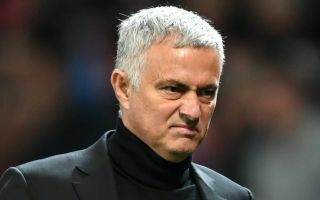 The Red Devils continue to languish in eighth place in the Premier League table, eight points adrift of the top four as their Champions League qualification hopes are now under real scrutiny this season. With a dismal recent run of form in the Premier League, Mourinho knows the importance of getting a positive result against Fulham to kick-start their December and ensure that they have a positive festive period. Unfortunately for the Portuguese tactician, it doesn’t appear as though too many United fans agree with his decision making in his starting line-up to face Claudio Ranieri’s side. As seen in the tweets below, many have questioned why Nemanja Matic and Romelu Lukaku in particular are starting again despite their poor form this season, while others were disappointed to not see the likes of Paul Pogba or Fred in the starting XI. It remains to be seen whether or not Mourinho’s key decisions pay off and it results in a win, as ultimately at this stage that’s the most important factor for Man Utd. However, with the reaction below in mind, it seemingly will take some time for supporters to get on board with his decisions, assuming that they will at all. Nevertheless, there was one popular choice in particular, with many delighted to see summer signing Diogo Dalot given an opportunity in defence. Jones smalling and Young in defense, Lukaku the donkey up front, matic starting again. Matic, and no Pogba or Fred this is getting ridiculous. Phil Jones & Romelu Lukaku start, advantage Fulham. Jus sack Jose after this game please. Thanks.